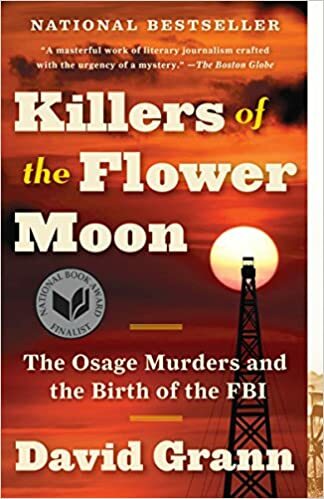 Sue Mack will lead a discussion on Killers of the Flower Moon by David Grann. Please let Lynda Krazinski, krazinski2@gmail.com, know if you are planning to attend. Please contact Carol Dunn, carolrdunn@comcast.net, or Sally Hines, sallyhines@comcast.net, if you need a ride to the gathering or would like a list of the books to be read this year.